I WILL NEVER be a good lead guitar player. I can strum and keep rhythm. I'm going to keep trying. I might get there, some day. Last week I filled in at the Club Tavern and Todd Boyer tore it up on lead guitar. Geesh ... you hear a guy like that and it makes you either want to quit or to get better. I ain't quitting. So ... I'll work on getting better. The guy I was filling in for (Matt Roberts) is a monster, too. One of the things I stress in lessons is learning scales. It's more about ear training than anything else. It helps to navigate on the guitar and to learn where the notes are, and why they work. I've been learning a ton of songs with the new app Sheryl got for me. It's been life-changing - I've known and loved these songs forever and now I can finally tackle them and it's so much fun. My mother, God bless her soul, was a huge Cat Stevens fan. 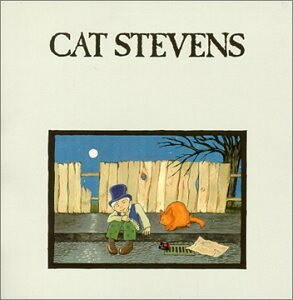 I think Teaser and the Firecat and Tea for the Tillerman are two of the greatest albums ever made. Yup. Albums. Records. Those black cylinder things that you put on a device called a "record player." The scratches and pops just made it sound warmer. Anyway, I dialed up the classic "Wild World" and learned it. In the chorus it has little riff, right after "Oh baby baby it's a wild world .... duh duh duh duh duh duh duh dub .... " I heard it and I thought, I'm in trouble, I'll never be able to figure it out. Wrong. It's a simple scale. It took all of 30 seconds to learn it. I'm stilll not very good at it - a little practice and timing and I might be able to pull it off. I'll never be mistaken for a great guitar player. But I'm having fun and I'm learning every day I pick it up, and it just gets more and more interesting. A bunch of my students had fun with Wild World last week, too. It is, indeed, a Wild World.